We understand that choosing the right English course or program is a big decision. To help you feel comfortable and confident as a member of Real English Conversations, we want you to know that we offer a 60-Day Money Back Guarantee that you will see improvement with your speaking and listening skills using the lessons available in your membership. After joining a membership, you will receive an email directly from one of our teachers asking you what you want to improve the most at this time. Once you respond to this email, our teachers will recommend specific courses or lessons that you should start studying (and doing the related activities) to help you solve your problems and begin improving your communication skills. Our methods, lessons and activities are very effective when students follow the advice and do the suggested activities in the courses. We guarantee you will see improvement if you are using the lessons that were recommended by your teacher. At Real English Conversations, we know the #1 reason why students succeed is because they are consistent with their studies. The only commitment you need to make is that you will study at least 2 or 3 times per week (for 20-30 minutes or more). Your membership gives you access to our English communities where you can practice speaking and writing with other people, your teacher, as well as the online courses. If you feel like you need support or you don’t know where to start… send an email to us. To help you recognize the progress you are making, we ask that you do a small voice recording talking about yourself, your family and why you are joining this course. After one month, you can repeat this activity and see if your fluency and confidence has improved. We know that you are joining our courses because you are serious about improving. Very few students ask for a refund due to the high-quality courses, lessons and advice offered in the membership. 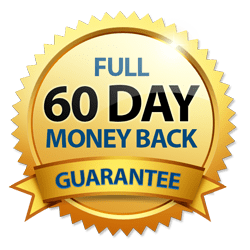 The 60-Day Money Back Guarantee is for students that have tried the lessons, asked for support and and followed the advice from their teacher but they have not seen improvement. Most refund requests are sent because the student has not logged into their membership to study and practice the lessons that were recommended to them. If you don’t study, it is not the fault of the courses that students aren’t improving… It’s because they aren’t practicing. Refunds will not be given for this reason. It is the responsibility of the student to recognize they are not making time to study and that they should cancel their monthly membership. However, if you feel that you are not improving even though you are doing the activities that your teacher and you are studying consistently, you can contact us to request for a full-refund. Do you have a question about our Money Back Guarantee? I’d be happy to answer your questions! Visit our Contact Page and send a message.